I touched upon ideas to keep a toddler amused in my last post here. 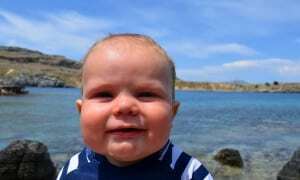 Babies are generally a lot easier, since they tend to sleep more and are not yet mobile! Lindos is a beautiful place. It is very hilly here but the reason I would suggest a visit with young children is for its beach.If you’re feeling adventurous (and fit) try visiting the Acropolis but keep your children on reins or close to you as there are lots of edges! 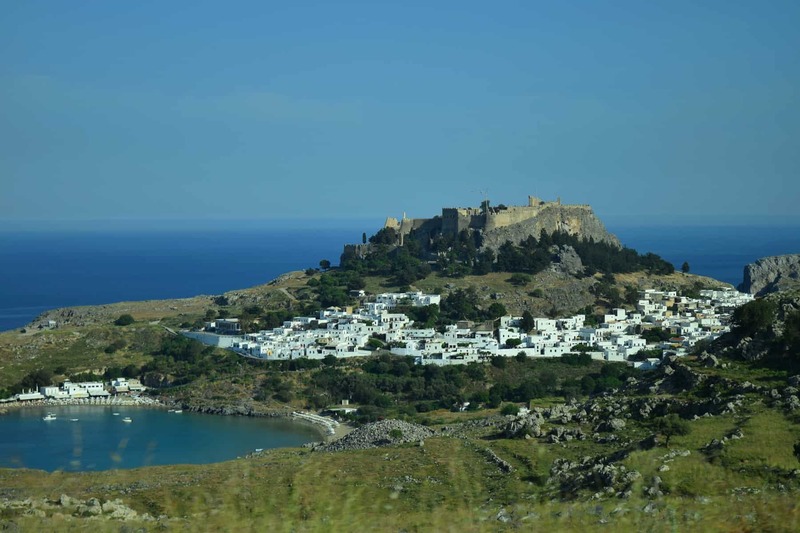 Being an Animal lover and concerned about animal welfare, I would urge you to avoid the donkey rides in Lindos …. I will leave it at that. A lot of the beaches in Rhodes are shingle based. The beach at Lindos is sand. It is set in a sheltered bay so there are no waves, the water is shallow and if you visit the smaller beach (which is nearer to where the visitor boats dock), the loungers go right up to the water’s edge and you will find a lovely, child friendly Restaurant just off of this beach called Alex’s. Perfect for lunch! The people of Rhodes are very family friendly. 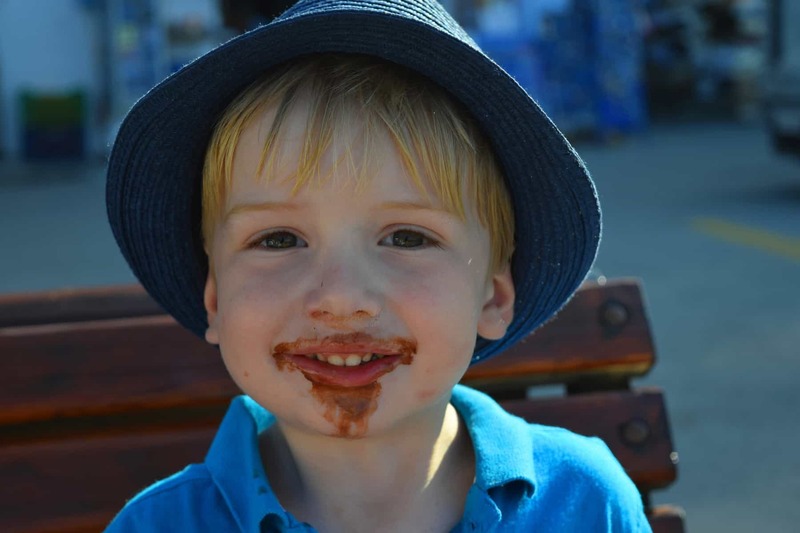 In the restaurants, the taxis and the shops you will find your little ones are very welcome. Rhodes Old Town has a lot of history and plenty to see. 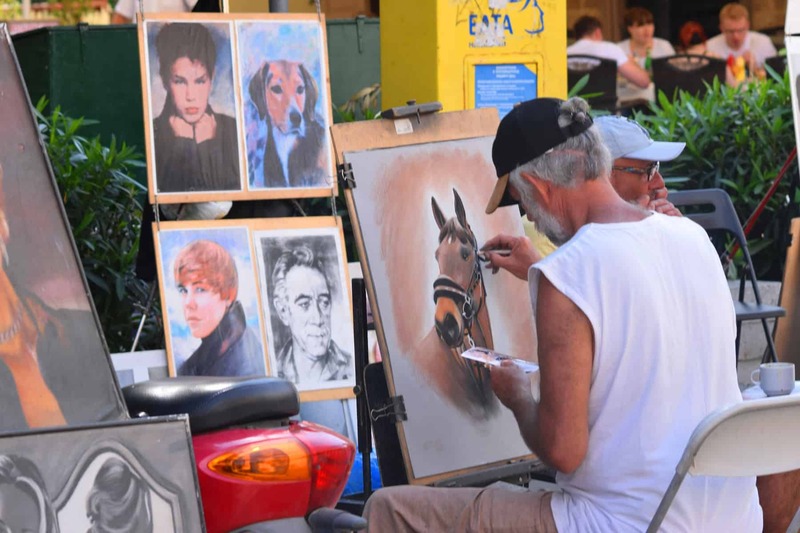 Around the town you will discover artists who draw amazing portraits which are very reasonably priced. 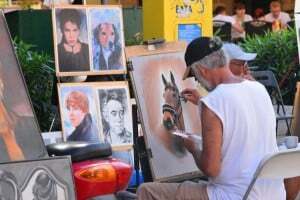 If you are staying close by and you don’t have enough time to wait for it to be finished, the artists will even drop it off at your hotel when they are done. I would advise you to take nappies and baby food with you should you need them, I didn’t see many supermarkets with much choice for these items, so rather than stress about finding somewhere, take it with you. Use a vacuum storage bag for your nappies on the way out, they don’t weigh much and will take up a lot less room in your luggage this way. After all, you don’t have to worry about taking them home with you! Take the bus! You will find bus stops outside most of the hotels and you can travel from Lindos to Rhodes Old Town for 5 euros each. Children are free. If you can, try staying in a hotel on a half board basis. It saves you a lot of stress if you know that your breakfast and dinner meals are sorted! We stayed at the Lindos Mare Hotel and the food there is AMAZING!! A good time to visit with young children is May to mid June, after this is does get quite hot and you may struggle to keep young ones cool. We visited in May and the weather was perfect.